Although rarely needed for immigration, notarized translation services are still required for some documents and are necessary in other cases, especially for university admission. USA Translate provides fast translations for any purpose, including notarization when needed. The meaning of translation is understood as a transfer of words from one language to another where the words only change their form while retaining the meaning of the sentence and text. This is especially important when translating a certified copy which retains the contents of the document for the authorities. The signatory of this type of document can be any person, but with a certified translation, it must provide a guarantee that the content which is translated from one language to another has the same meaning as the original document that is subject to interpretation. Through identification and without a personal signature of a notary public, officials cannot provide security and a guarantee that a document is signed in on behalf of someone. This is one reason that many authorities require official certification of documents by a notary public who guarantees that they have identified the person who has signed the document, and that that person has personally signed. However, this certification is still not a guarantee that the content of the document is accurate as it is provided by certification. What are notarized translation services for? Notarization is the certification or authentication of a document by a notary public, when they are called upon to certify or authenticate a translation; the result may be referred to as a notarized translation. Since most legal and governmental entities to which you need to submit your documents require a signature of an authorized interpreter plus certification by a notary public, please fully inquire about the validity of that requirement by the relevant institution, if they are a notarized translator and that translations can be used for multiple purposes such as for example, for enrollment in secondary or higher education, in immigration proceedings as US immigration (USCIS) or serve as presentation to government, federal, state or local officials of power. What is a sworn translation (certified, sworn or official)? Each country has a different interpretation of the certification process, which is not a standardized process in each country. 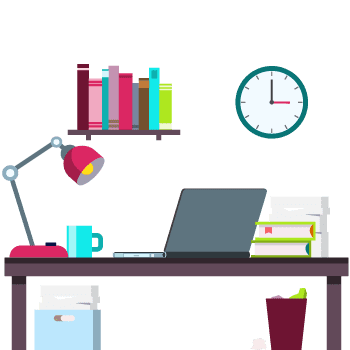 This means that all translations performed by professional and certified translators who are accepted by the competent authorities in each country represent officially accepted translations. If you need notarized or certified translations for United States then you’ve come to the right place. Get in touch by life-chat to get a quote! We provide notarized and / or certified translations for any kind of document, from any language into English. We can send you your certified translation by email or by post, so get in touch with us to discuss about your needs! Calculate your certified or notarized translation cost! 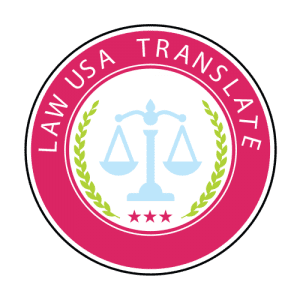 In the US, there are two types of translations which are considered as ‘official’ and therefore accepted as having legal value by various agencies or institutions. These are the certified translation and the notarized translation. These two may be different but they may also be the same in one way or another. Among others, the United States Citizenship and Immigration Services or USCIS is the government agency in the US that generally requires for certified and/or notarized English translations of vital records and civil documents. A certified translation is normally required by authorities in the US to accompany a document which is originally written in a foreign language. A translation is done to a foreign language document by a professional translator or a translation company like USA Translate. The translator may or may not be certified or a native speaker as long as he or she is an expert on the language pair being translated. 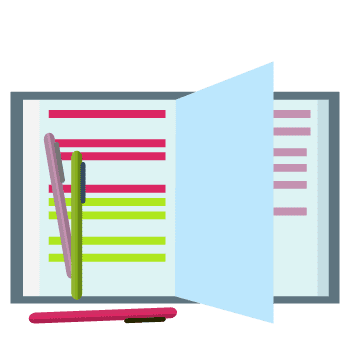 A Certification by Translator is attached or annotated to the translated document stating that the translator is fluent in English and the language being translated and attesting to the correctness, completeness, and accuracy of the translation. The translator then affixes his or her signature, along with other important details such as the date of certification, the address and other contact info of the translator, and his name. 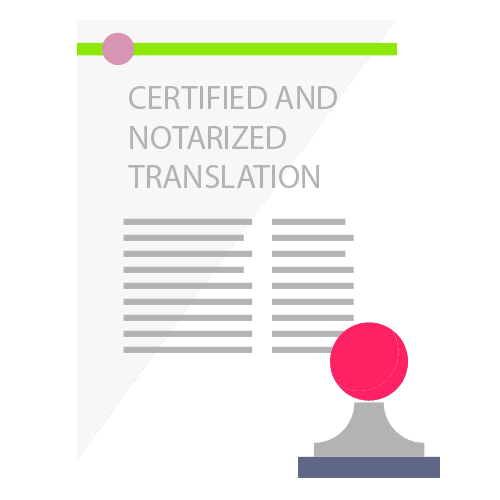 Such a certified translation becomes a notarized translation when the certification is signed in the presence of a notary public, thus becoming a sworn statement certifying the translation. The notary public will then subsequently notarize said document in order to further validate the certificate of translation. The notary public may not necessarily be a speaker or can understand the language being translated to English. 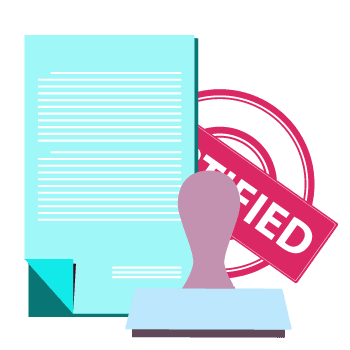 It is better to use notarized translation services as you’ll get your translation along with the notarization from one place, at a special price. How do I know when a notarized translation is needed? Most government agencies and institutions, such as the immigration office (the so called USCIS translations), commonly requests certified translations of foreign language documents, while others will require for notarized translations. It would be best to ask the requesting authorities if they require either the certified translation or the notarized translation. This way, you will know exactly what you need or what to do and this could save you time, effort, and money. Which documents are mostly subjected to notarized translation? Who can do Notarized Translations? Any professional translator and/or translation agency or company, like USA Translate, can do a certified translation. However, to provide a notarized translation, the translator must sign the Certificate of Translation in the presence of a notary public. Translators need not to be certified to certify a translation. Can we do a Notarized Translation on our own? It is not recommended that any person may do notarized translations of his or her own documents. This may risk the authenticity of the documents, the completeness, accuracy, and correctness of the translation may be compromised, and therefore may increase the possibility of rejection. What should we consider in acquiring Notarized Translations? Get in touch with USA Translate now! We are always ready and willing to serve you 24/7. Why do we offer notarized translation services? Let’s admit it; translations are not the only thing that gets notarized. Virtually all personal documents are notarized before they are produced at any legal office. That is an unwritten rule and a culture that is much encouraged by the law. So the big question is that if you need notarization of translation, why do you need a translation agency like USA Translate? Why can you not get the notarization yourself? Notarized translations are an affidavit provided by the notary office that states that the translator presented himself in front of the notary and declared that he conducted the translation and the notary officer’s stamp verifies that fact. The problem is that the translator has to go to the notary office. 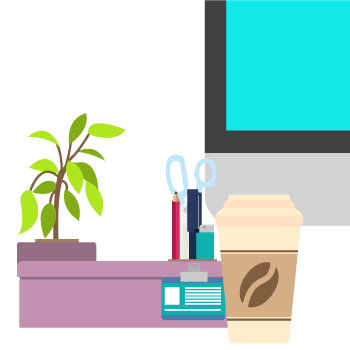 If you get your translation from a freelancer over the internet, you won’t be able to ask that freelancer to meet you at the notary office, and the notary will never notarize your document without seeing the translator. We, as a translation agency, take a document to the notary officer to have it signed and sealed. We can give any verification or details that he may need or may want to have. With us, notarized translation services are done faster and at a lower cost. USA Translate hopes you understand why we offer notarization translation services and why so many people take us up on that offer. We are here around the clock for all of your translation needs. Although the US and the UK do not use the concept of oath, in certain cases exceptions will be made where you will be asked to provide a “notarized” or “certified translation” which is translated in the form of a written statement or certificate of accuracy dated and signed by the translator or translation agency which confirms the authenticity of the document which will be the original version of that document. Whereas in Canada, a certified translation is considered a document that is verified and signed by a person who has passed the standardized exam certification translation CTTIC (Canadian Translators, Terminologies and Interpreters of the Council), and they are a legitimate registered member of one of the provinces of Canada in their professional association. Each document translated by a Canadian translator is signed with the initials of TA (“traducers agree”) or CT (“certified translator”). Legislation in Australia allows you to produce certified translations only from NAATI accredited translators (National Accreditation Authority for Translators and Interpreters). Mexican translators are obliged to apply to the Supreme Court of Justice in the States of the Federation of Mexico and of course to pass oral and written exams that will bring the official title translator (“Perito traductor official” – expert official translator) which gives them authorization to put their signature and seal on the translated documents. In France the term “Traduction Assermentée ” (official translation) means a translation made by a certified court interpreter who is officially authorized to provide a translation in the language demanded and has passed the oath before the Court (Supreme Court and Court of Appeal). Italian translators must personally present their translations before an authorized person, and the public officer of the court is there to determine compliance of the translation with the original document. This explains why higher management fees of €70 apply. USA Translate is an official translation company for documents to be presented for legal purposes before official authorities and notarized translations of corporate lawyers and attorney individuals, the so called legal translation. Some common documents that require notarization of translation are: Judgment translation, Wills translation, naturalization documents for translation, immigration documents for translation, adoption papers for translation, Diplomas translation, academic degrees translation, Divorce certificates translation, married certificate translation, birth certificate translation. These documents require special standards for translation and certification. In each country, special laws regulate notarized translation services. When it comes to translation that does not require notarization, at the discretion of the interpreter, they may in certain cases add their own interpretation of the text with a particular style and tone which gives the translation an easier and more acceptable approach for the target audience. However, if it is the notarized translation principles approach, without exceptions, translations must correspond absolutely to the source and must contain a clause certified together with a round seal that is used only by the court authorized translators in order for the corresponding documents to be accepted by the court and executive powers. 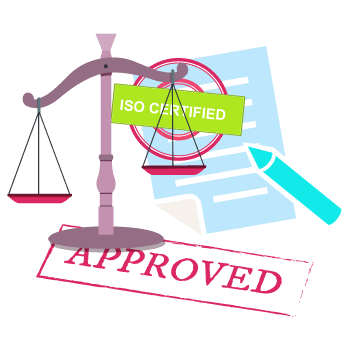 Officially recognized certification clauses made in accordance with current applicable laws are considered to be those with descriptions such as “official translation”, “confirming the accuracy of the translation,” “certification compliance word translation”, or similar phrases. When to Use Notary Translation? A notary public is empowered by the government to verify and supervise different legal formalities, which include notary translations. Notarized documents are usually required by some schools and colleges when submitting documents such as foreign diplomas and high school transcripts. In notary translations, the quality is not the issue. It is more about satisfying the formal conditions of an institution. Notary translation is used for several purposes such as if you are submitting documents for your high school, middle school, or any other educational purpose, you need to submit a notary translation. Education institution only receives notarized documents. Also, if you are submitting documents for government official purpose, such if it a legal document, or driving license, or court documents divorce notification it is safe to opt for notarized documents. There are no fixed laws regarding notary translations, as the requirements are dependent upon the country in which it will be used, and therefore laws can change based on the location. Do you need a notary translation? Got further questions? USA Translate can assist! Make contact with us and let us help you through the process! Laws are laws, and you just can’t ignore them. Being a law abiding citizen makes you eligible for enjoying your life to the fullest. It is a green signal to enjoy all the benefits that you are entitled to. However, when you move to a different country, following the law starts with the very documentation at the immigration. The conversion of information into the language of the country where you are travelling to or planning to get settled in, is the most important thing. The authorities have to be sure that whatever information that you shared is right and authentic. This is the same as following the law but of a country where your future is lying. So the first part starts with translations. USA Translate is the ultimate destination for Official English Translations. Our Professional immigration translators are ready to take on your assignments, so just get in touch with us, let us know where you are headed to and we’ll take care of the rest. We can even guide you on the requirements of your particular translation. We understand that you can get nervous as you are leaving your country behind or going far away from your family, but we make sure that official translations are not among you worries.